Back pain can affect anyone at any time, no matter how healthy or otherwise that person is. This can be especially true in all types of workplaces, where lifting boxes and equipment or simply sitting at a desk for lengthy periods of time can affect a persons musculoskeletal system to the point where even the most basic of movements can be painful. Chiropractic care for all accident and workplace injuries can keep these pains at bay and help those that suffer from workplace injuries to receive the help they need to get back to work in no time. The following will provide an in-depth and detailed look at all of the many benefits of chiropractic care for workplace injuries. Who is Most At Risk of Suffering From Workplace Injuries? First of all, it’s important to understand who is most at risk for workplace injuries in order to stave off these issues before they even happen. 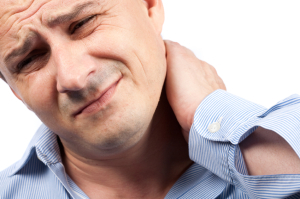 These types of back and musculoskeletal injuries can affect pretty much anyone. With that being said, employees that do the same types of tasks on a regular and consistent basis can begin to suffer from overuse of certain tissues within the body over a lengthy period of time, which can further lead to damage of these same tissues. Chiropractic care is essential in order to keep further injury from taking place and to treat any injury that does occur. Employees that receive chiropractic care will find that there are a myriad of benefits that can be attributed to this care. For instance, employees will now have direct access to knowledge and education about these types of issues without needing to look somewhere else for them. It will also greatly reduce the need for health care costs out of your own pocket. Having access to chiropractic care will create a more positive environment within the workplace that will help to increase work flow and productivity in a manner that will be much more effective. This care can also help employees to have an overall positive attitude when at work, as they won’t be suffering from frustrating pain that could limit their capabilities. This can further lead to an increase in job satisfaction. The largest benefit of chiropractic care for employees is the mere fact that it allows for a greater well-being and health for all employees. Not only will this help with work productivity, but it can also extend a persons life. It should be noted that chiropractic care in the workplace is essential in increasing the amount of protection from everyday injuries that can happen to employees, as well as reducing the amount of built up stress. Lastly, it simply creates a work environment wherein employees now have much more motivation, knowledge and awareness that will help them to improve their health. Employees aren’t the only ones that benefit from chiropractic care for accident and workplace injuries; employers do as well. Chiropractic care in the workplace helps to reduce the amount of injuries that occur for employees while on the job, it will also provide a decrease in the amount of expenses that businesses will face for everything from disability to absenteeism, as well as drugs. These savings can instead be put into areas that help the business to grow. Potential and current employees will also be happy to know that their employees care for their well-being by providing chiropractic care, which will attract new employees and reduce the overall turnover ratio of current ones. Allowing employees to receive chiropractic care for accident and workplace injuries is a great way to reduce stress within the workplace environment, which will automatically increase work efficiency and productivity with employees. This care can even help to reduce health costs or keep them more limited. Every employer knows how important workplace morale can be to actually getting things done and earning as much profits and revenue as is possible. Employees need to be satisfied and content with working where they do, which is why all employers should know that chiropractic care can also help to create a supportive and largely positive environment that will keep employees happy.